Wylie is finally out of the detention center, but that doesn’t mean she’s safe. As much as she wants to forget everything that’s happened and return to her normal life, Wylie knows that true freedom means discovering, once and for all, who is hunting the girls who are Outliers—and why. Armed with only a few clues and a handful of trusted allies, Wylie sets out to separate fact from fiction. But soon she is unearthing long-buried secrets and finds herself entangled in a conspiracy that is much bigger and more dangerous than she ever could have imagined. Worse yet, the nearer Wylie gets to discovering the truth, the closer her enemies get to silencing her and the other girls. This time, maybe forever. 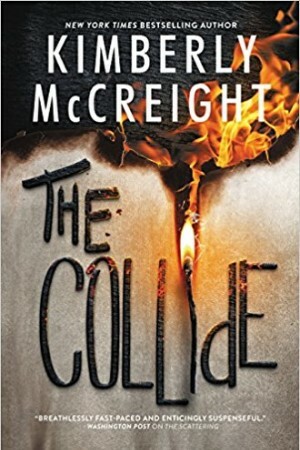 In the explosive conclusion to New York Times bestselling author Kimberly McCreight’s Outliers series, Wylie learns that when danger lurks in unexpected places, fighting for who and what you believe in can matter even more than you realized . . . and that trusting yourself might be the one thing that saves you.